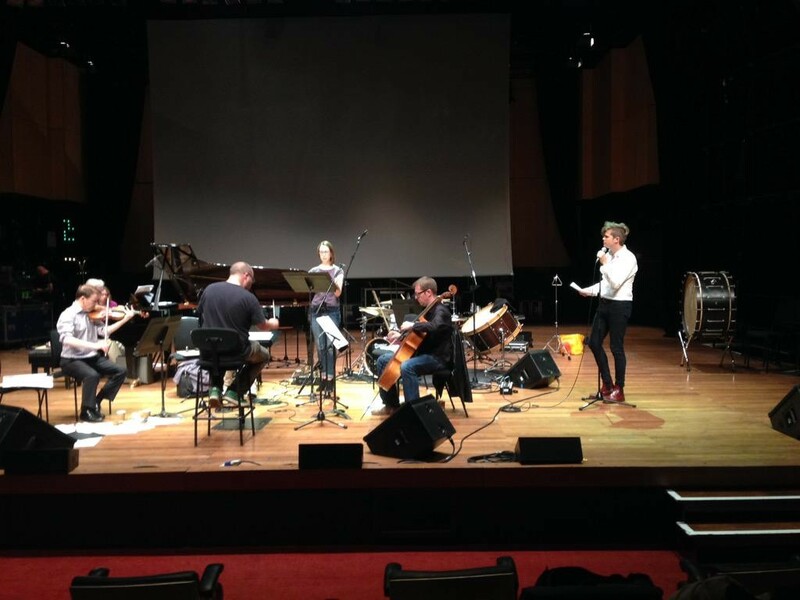 Back in 2015 I wrote a piece with the amazing poet Luke Wright for the London Sinfonietta, which we performed at Queen Elizabeth Hall. It was a great experience and I’m delighted that our collaboration will continue as we develop a new piece for, and with, Riot Ensemble over the coming year or so. The first stage of development is 2 days together in mid-September to try out some ideas and get things moving. This will happen at my stomping ground at the University of Southampton and is possible thanks to Riot Ensemble’s Arts Council funding and some support from the University. Big thanks to Aaron Holloway-Nahum for believing in the project and being so supportive. Exciting to see what happens! This entry was posted in Composition and tagged arts council england, London Sinfonietta, Luke Wright, poetry and music, riot ensemble, University of Southampton Music Department on March 6, 2019 by Ben. In 2017 I made a postcard for the London Sinfonietta for their 50th Anniversary celebrations. 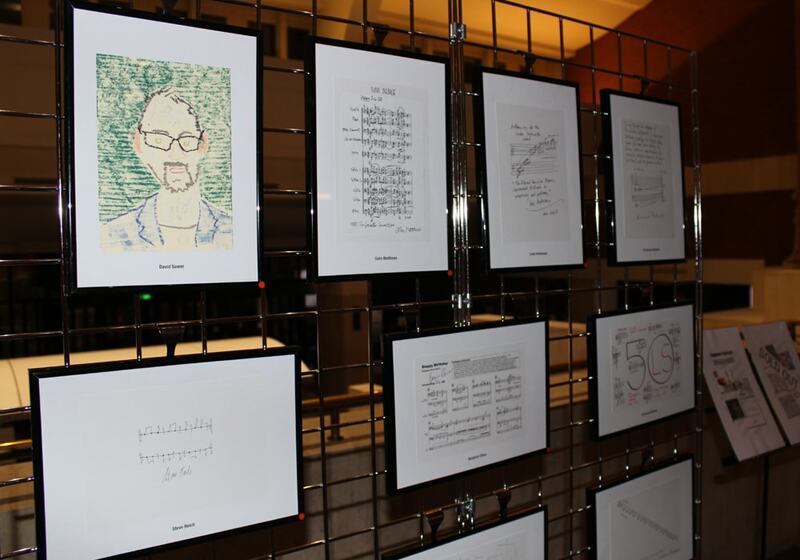 In the exhibition my card appeared between George Benjamin and Steve Reich… not too shabby. You can listen to an electronic version below.. 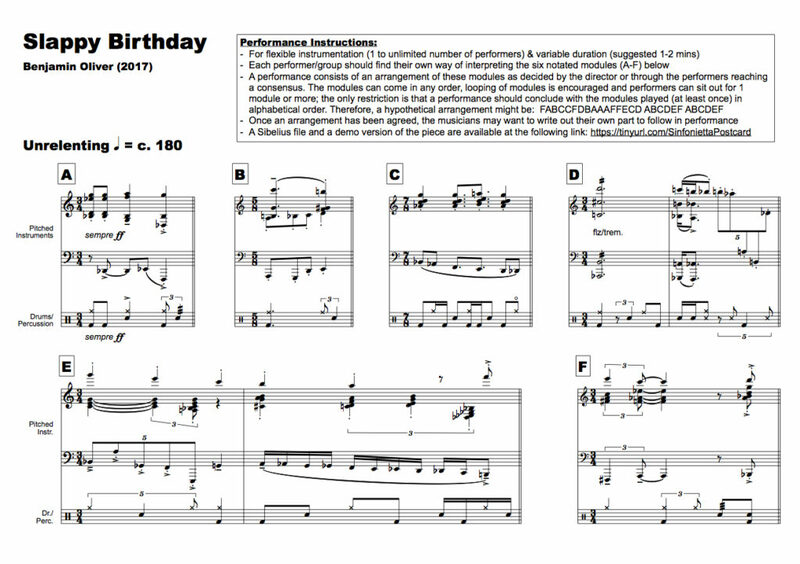 This entry was posted in Composition and tagged London Sinfonietta, postcard, steve reich on January 5, 2019 by Ben. This entry was posted in Composition, Electronics and tagged London Sinfonietta on April 9, 2018 by Ben. Was great to hear Owen Gunnell premiere my new piece for solo percussion, Changing Up, yesterday at one of London Sinfonietta’s ‘World Premiere Wednesday’ events. This entry was posted in Composition and tagged London Sinfonietta, owen gunnell, percussion on March 23, 2017 by Ben. On 22 March the fantastic Owen Gunnell will premiere my new work for solo percussion, Changing Up. This work was commissioned by London Sinfonietta as part of their ‘Sinfonietta Shorts’ series. 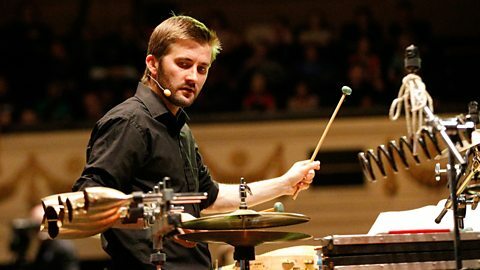 This entry was posted in Composition and tagged changing up, London Sinfonietta, owen gunnell, solo percussion on January 10, 2017 by Ben. This entry was posted in Composition, Conducting, Recordings and tagged Beasts Bounding Through Time, Charles Bukowski, London Sinfonietta on August 2, 2016 by Ben. This entry was posted in Composition and tagged London Sinfonietta, percussion on April 14, 2016 by Ben. I’m really delighted to have been commissioned by the London Sinfonietta to compose a new 12-15 minute piece for large ensemble for the eighth Sinfonietta Academy in July 2016. The academy is an intensive week-long course for emerging performers and conductors including rehearsals, masterclasses and networking opportunities culminating in a public performance. 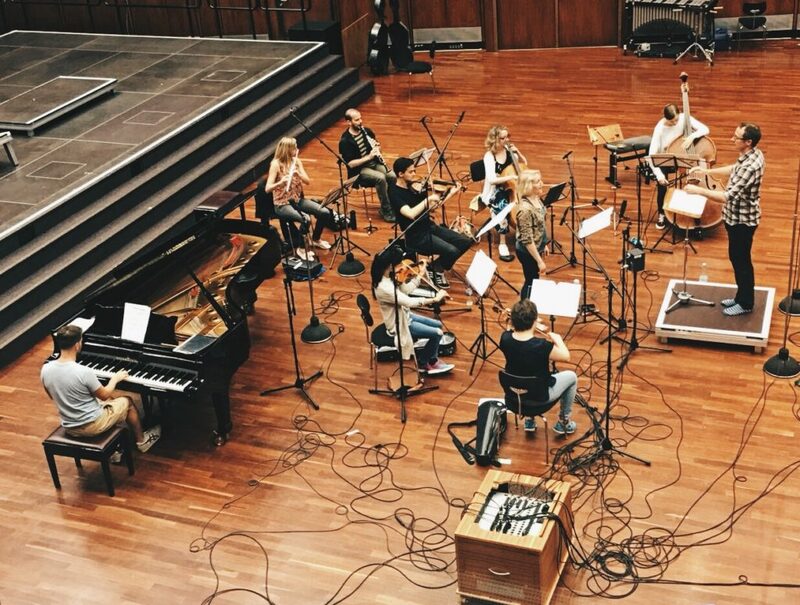 This course provides experience and training in performing as part of a contemporary music ensemble, with coaching from the London Sinfonietta Principal Players. This year’s academy will be led by Thierry Fischer. Better get writing! This entry was posted in Composition, Gigs and tagged London Sinfonietta, Thierry Fischer on November 30, 2015 by Ben. I’ve written a post for the Southampton Music Department blog about the recent performance of The National Loneliness by the London Sinfonietta, featuring Luke Wright and Juliet Fraser. I ended up conducting my piece and works by Emma-Ruth Richards and Jordan Hunt, which was really fun. Was great to write a new work with Luke and I hope we can work together again very soon. This entry was posted in Composition, Conducting, Gigs, News and tagged London Sinfonietta, Luke Wright, Queen Elizabeth Hall, Southampton MUsic Department on May 15, 2015 by Ben. The London Sinfonietta will premiere a new collaborative work that I have developed with poet Luke Wright, 'The National Loneliness'. Luke will perform the new piece alongside soprano Juliet Fraser and a chamber ensemble of clarinet, violin, 'cello, piano and percussion. This entry was posted in Gigs and tagged London Sinfonietta, Luke Wright on May 9, 2015 by Ben.